The Future - EXMOOR 1820 ... THE YEAR OF CHANGE. ​The biggest question of all for these buildings is, ‘what should they be used for in the future?’ To help answer this question, a Steering Group of local people and locally elected representatives has been working with Somerset-based architects Benjamin & Beauchamp to develop a range of possible uses. At their heart is a wish that they should benefit Simonsbath as a whole, help to make the heritage of Simonsbath more accessible to everyone and, crucially, that they must be sustainable – in other words, to earn their own keep. The old schoolroom to be a community space or parish room. It would be a flexible space and could be used for a variety of community events and in support of other local activities. It would have modern facilities and the atmosphere of a Victorian schoolroom. 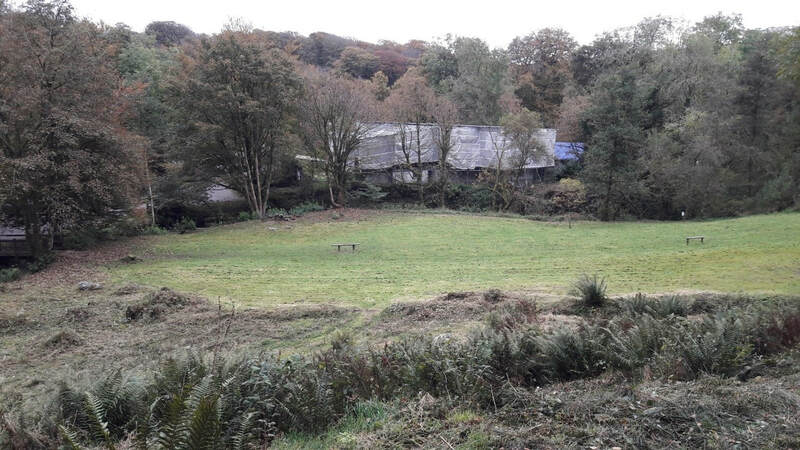 White Rock Cottage would become an unmanned museum to tell the story of the Royal Forest of Exmoor, John Knight’s reclamation of Exmoor, Simonsbath village and Simonsbath school. The public toilets would remain and the other end of the building would be used as a workshop or pop-up shop for Exmoor businesses to showcase their work. As well as this, the carpark in Ashcombe would be improved and access to the old gardens in Ashcombe would be enabled. Although there is strong local support for the options, before they can be taken any further, they must be tested to establish how viable they really are. Can they be made to work? How much will they cost? Who will run the buildings? How sustainable is the proposed use? This work is being done by the Steering Group with expert help and advice where needed. We would welcome your views and are still keen to learn more about the history of the buildings and of Simonsbath.